“Home is where the heart is,” and you will fall in love with this gorgeous three bed family home plus flat-let. Perfect blend of old and new. 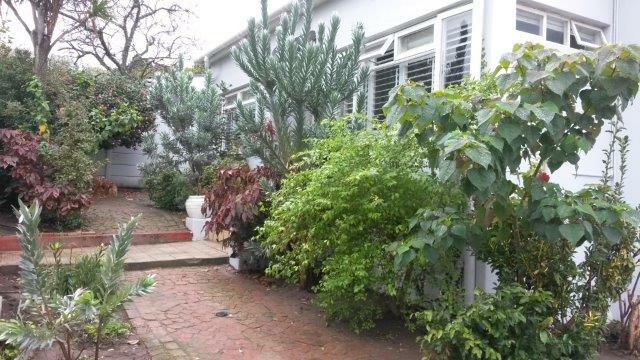 Situated on Alphen Hill, close to leading Wynberg schools, shops and easy access to the public transport systems. This newly renovated home is light and bright and has all the conveniences of a modern home. Beautiful stained glass front door, window shutters and polished wooden floors add character and charm to this lovely home.The spacious living areas open onto a small pool and paved back patio which is ideal for outside entertainment. The kitchen and separate scullery area is beautifully tiled and flows onto the open plan dining room and lounge which has a cosy fireplace. This home offers three spacious bedrooms all with built in cupboards and two en-suite bathrooms as well as a main family bathroom. Convenient outside flat-let or domestic quarters is a huge bonus. There is a single carport and an extra long drive-way with parking for 3-4 cars as well as an underground cellar for extra storage or wine-lovers. Intercom, pedestrian gate and auto sliding gate, alarm, Trelli doors, burglar bars and electric fence provide excellent security and a pretty low maintenance front garden completes the picture.